Polyurethane and PVC floors are artificial sports floors which are specially produced for sports pitches. Polyurethane and PVC indoor sports floors are artificial sports flooring options especially applied to indoor sports halls. These types of artificial sports floors can be applied in the desired color. Basketball, handball, volleyball, and other sports can be played on PU and PVC floors. What are the Costs of Polyurethane Floors? Polyurethane Floor installation cost varies depending on many factors. The dimensions of the court is the first criterion for this issue. Then the cost is determined based on the characteristics of PU floor or PVC floor to be used. Polyurethane Floor is applied without color. PVC floors are applied as a roll. The products are available in any color. PVC sports floors with wooden look are also available. They are quite affordable compared to the genuine sports parquets. Please visit our contact page to request a project based quotation or price per square meter. 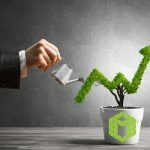 Which Industry Should I Invest in? 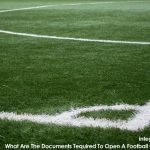 What Are The Documents Tequired To Open A Football Carpet Field?